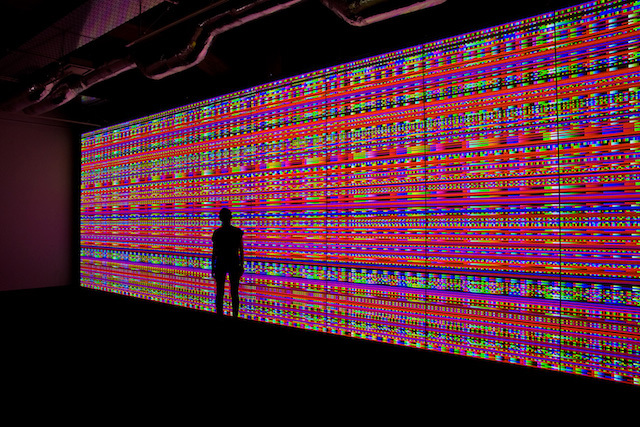 The stress inducing imagery associated with broken technology transforms into a mesmerizing, almost serene digital installation in young Japanese artist Norimichi Hirakawa’s computer-generated video sculpture, The Indivisible (Prototype No. 1. 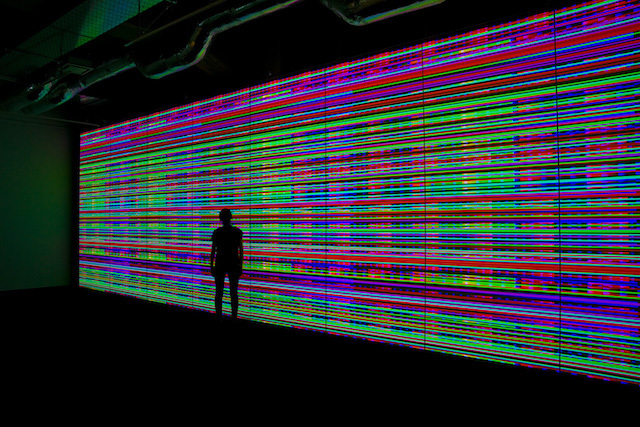 Displayed across a wall of screens, it’s synced to show a rapid moving stream of glitch pixel surfaces. Similar to his previous work with digital manipulation, Hirakawa creates an immersive environment for the viewer by placing his installations in an empty, blacked-out room with high ceilings. This atmosphere is augmented by the sound of the static white noise that your television makes when you’re on the wrong channel. Norimichi Hirakawa – The Indivisible (Prototype No. 1) (2015) from Anti-Utopias on Vimeo. For more work by the artist, click here, and keep your eyes on upcoming projects from Anti-Utopias here.